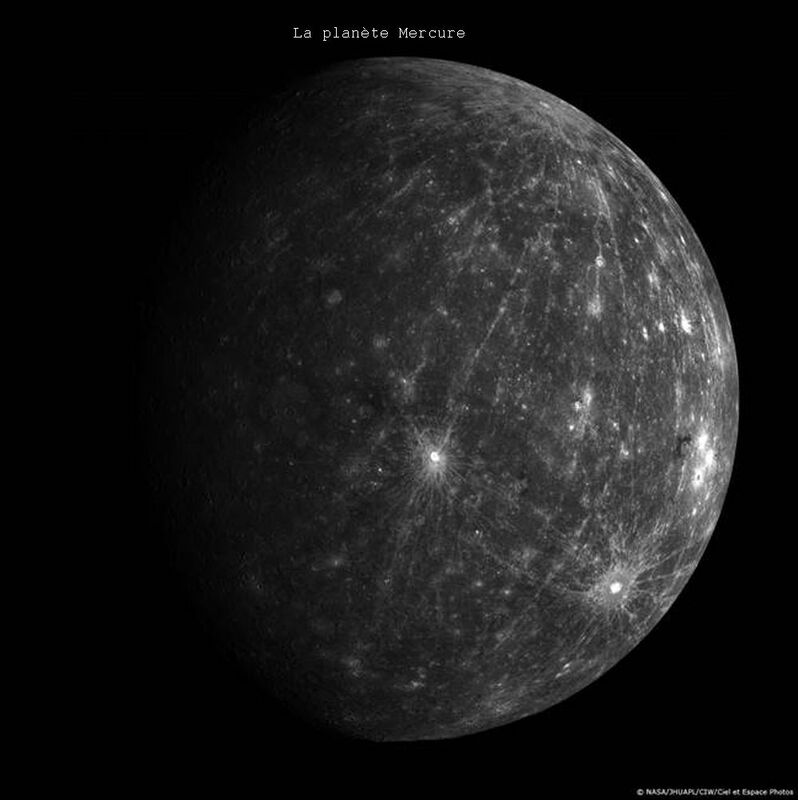 Mercury is the smallest of the telluric (rocky) planets in the solar system. It is also the closest to the Sun and has virtually no atmosphere. As a result, it is subjected to the largest temperature variations in the solar system, rising to +430°C in the daytime and dropping as low as –180°C at night. Its crater-studded surface is similar in many respects to that of the Moon, forming a desert of dust and rocks that alternate between scorching hot and freezing cold. Mercury’s lack of internal activity means it has been geologically dead for more than 3 billion years. Mercury has a liquid core spanning 3,600 km that makes up 61% of the planet’s volume, compared to only 17% for Earth. This core is surrounded by a mantle some 600 km thick accounting for around 20% of the planet’s radius and composed of semi-molten rock, making it much less dense than the core. Above the mantle lies the surface crust that is a few tens of kilometres thick. The crust is pockmarked by impact craters, some spanning several hundred kilometres and several kilometres deep. Another of Mercury’s unique geological features is its massive cliffs or scarps, anywhere from 1 to 3 kilometres high and stretching for hundreds of kilometres. They are thought to have formed when the planet cooled. 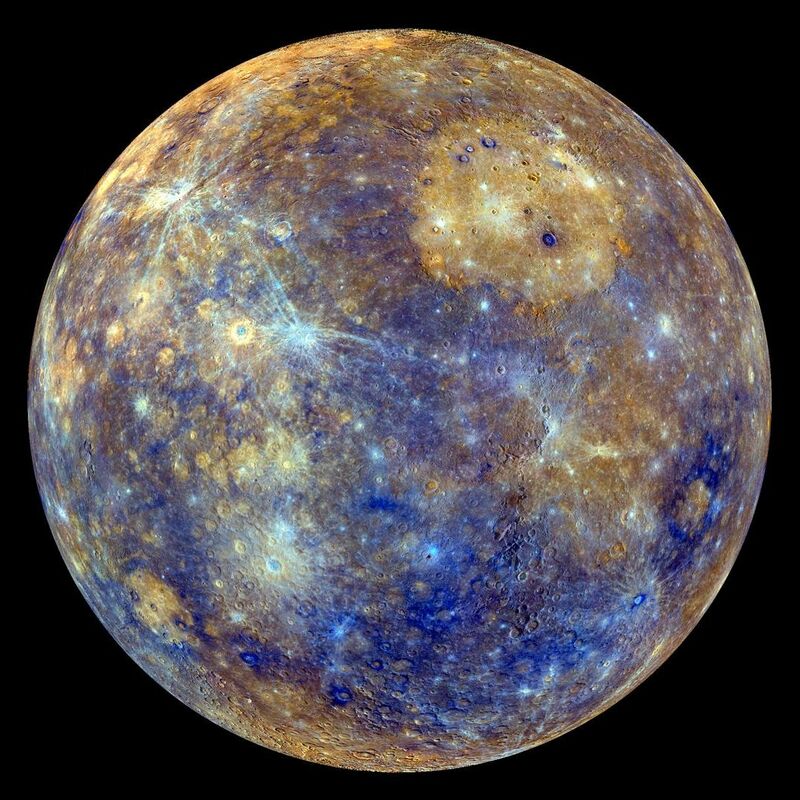 Mercury also has a very tenuous and changing atmosphere or exosphere due to the bombardment of its surface by solar wind particles. As a result, it experiences large day-night temperature swings from –180°C to +430°C, a range seen nowhere else in the solar system. 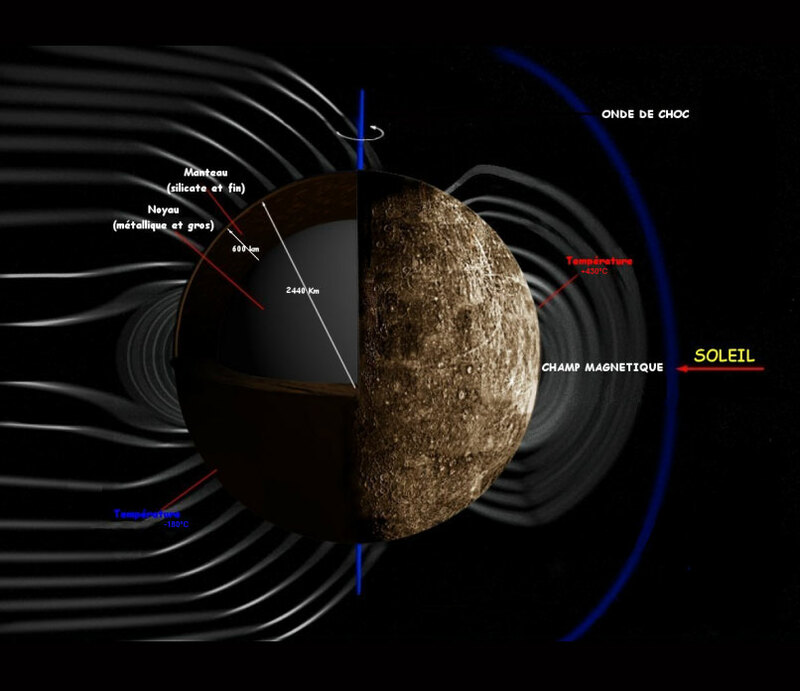 The BepiColombo mission scheduled to launch in 2018 is set to take two probes—MPO (Mercury Planetary Orbiter) and MMO (Mercury Magnetospheric Orbiter)—to map the planet’s surface and study its inner composition, structure, magnetosphere (the layer of the atmosphere where physical characteristics are governed by the magnetic field and interaction with the solar wind) and magnetic field. CNES is overseeing development of the French instruments on BepiColombo for the 8 research laboratories that are helping to design 6 instruments for the mission.